Lock in a great price for Manee House – rated 8.2 by recent guests! 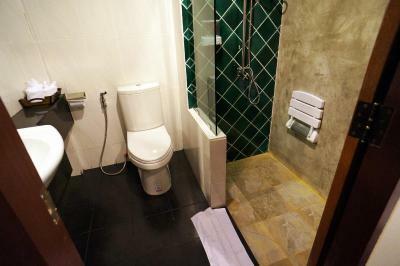 the room was nice and spacious, also the toilet. we were given toiletries and they gave us water every day. room had AC, fan, and fridge. the swimming pool was clean, nice and received the perfect amount of sun. very fresh water :) free coffee in the morning. 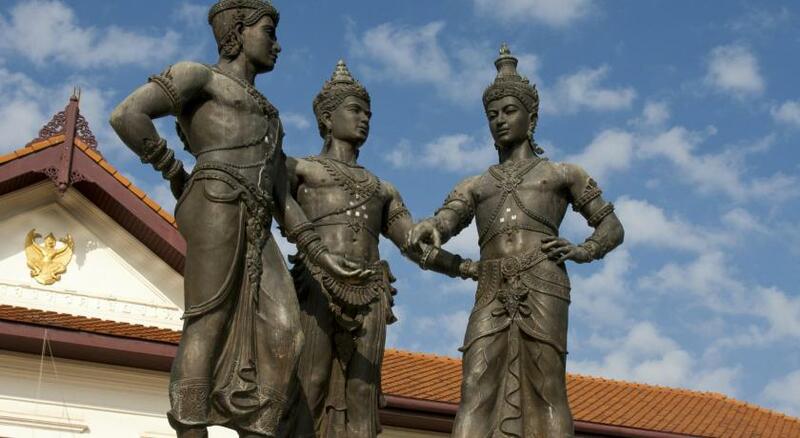 perfect location, close to a beautiful temple and all the bars/restaurants/shops you may need. AC and hot water. Extra bottles of water delivered. It was OK. I was expecting better. Yes, the area is good, but the hotel itself could use a little face-lift. It's kind of worn. It also has a cafe where you could die and sit there to rot before they wait on you. Just OK, but the location was good, and the staff seems to think all tourists are just useless bothering jerks. I'm in CM a lot and next time I'll stay somewhere else. We only stayed one night, but everything about Manee was great. The staff were friendly and helpful, the location was good with lots of nearby amenities, and the guest house was clean, comfortable and quiet. We definitely recommend this Guest house. The staff were amazing, very helpful. :) They gave us the lanterns for the festival. The room is very clean and comfortable. 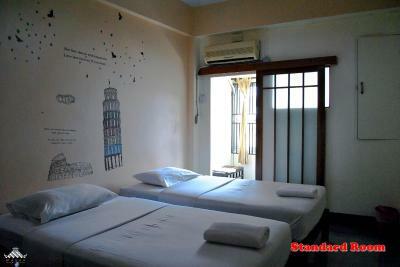 Nice small hotel located in narrow street in Chiang Mai old town. Location is calm and chill but near to restaurants and attractions of the city. Big and clean pool inside. Small touristic office in front of the hotel. Friendly staff. We arrived early and kindly was able to check in to our room early, the location is good. The room was comfortable, there is a fridge in the room which is always great. 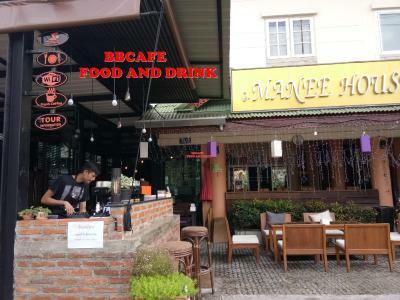 Great location.10 minute walk to the night market.Big and comfortable bed. Manee House This rating is a reflection of how the property compares to the industry standard when it comes to price, facilities and services available. It's based on a self-evaluation by the property. Use this rating to help choose your stay! 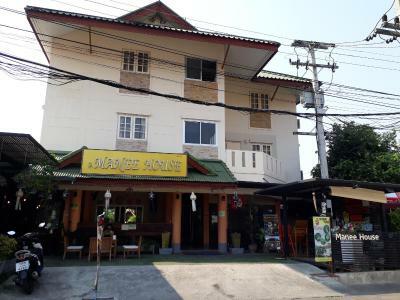 A 5-minute drive from Sunday Walking Street in Chiang Mai, Manee House offers comfortable air-conditioned rooms. Guests enjoy free Wi-Fi, which is available throughout the residence. Manee House is a 10-minute drive from Thapae Gate. 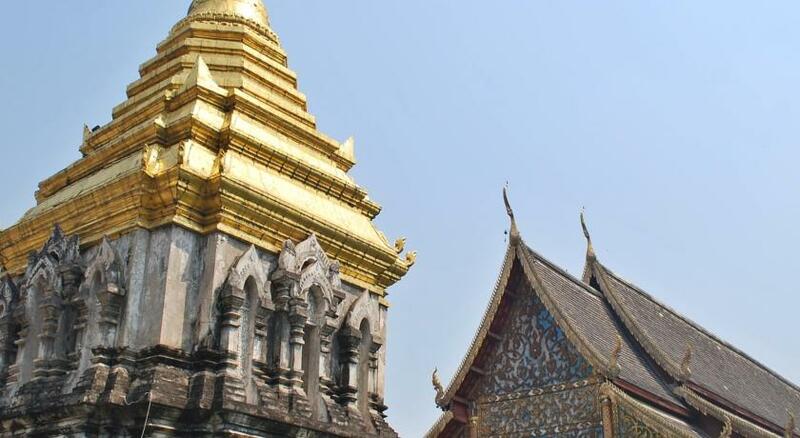 The lively Night Bazaar and Chiang Mai International Airport is a 15-minute ride away. 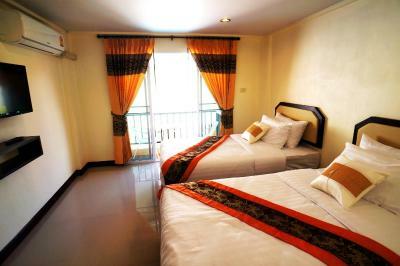 Simply furnished rooms are provided with a cable TV, a fridge and a telephone. Private bathrooms come with shower facilities. Guests can explore local attractions by hiring a car or a bicycle. Information on day trips are available at the tour desk. 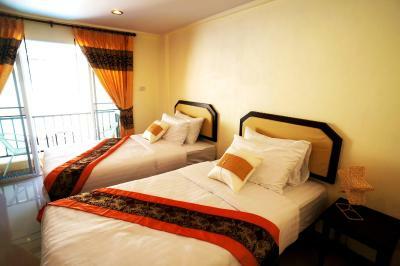 For convenience, the hotel provides luggage storage facilities and a laundry service. 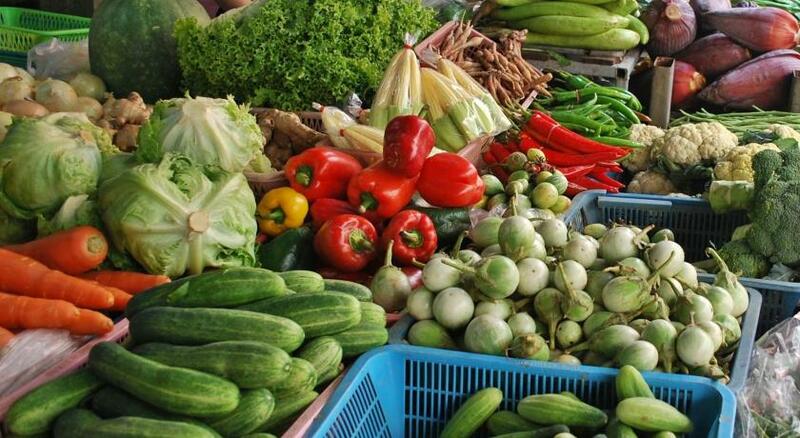 For meals, enjoy a variety of local dishes at many restaurants located within a 5-minute walk away. 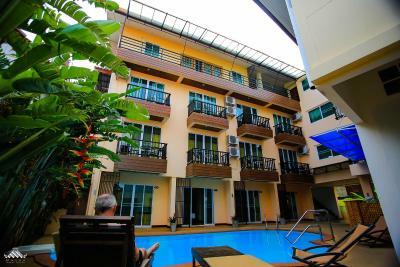 뀐 Located in the real heart of Chiang Mai, this property has an excellent location score of 9.0! When would you like to stay at Manee House? 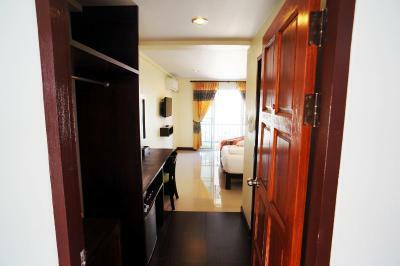 Air-conditioned room offers a cable TV, a fridge and an private bathroom. This family room has a balcony, mini-bar and cable TV. House Rules Manee House takes special requests – add in the next step! Manee House accepts these cards and reserves the right to temporarily hold an amount prior to arrival. Pool could be open a little bit longer. Some staff were more friendly and welcoming than other staff, there was one particular staff member that was very rude and unhelpful. There is not enough chairs around the pool for the amount of people that want to use the pool. Tiny shower,but I guess for the money we paid it’s ok.
Clean rooms, clean bathrooms. Good location, it’s close to center and to the airport. Everyday they clean your bathroom and mop the floor and give you bottled water. The breakfast was tasty. Laundry smell great. What’s more there are no bugs in there! The rooms felt tired and dated. I thought I'd be treating myself with paying more than usual but feel the upgrade. Rooms by the pool looked a lot nicer but too expensive for me. Friendly staff, excellent location, central but quiet. Crisp linen, comfy bed. Three of us had only one key. Clean room, free tea, helpful staff. Old section is very dark as only window in the bathroom. Sheets were stained on one bed. The staff at this place was horrible. The ladies at the front desk were extremely rude. At first we thought it was just us but they interacted with other guests in the same fashion. The pool is also to cold to swim in.